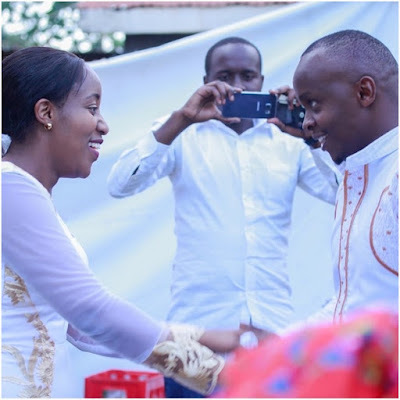 Sunday, August 26, 2018 - K24’s love birds, Joab Mwaura and Nancy Onyancha, are officially husband and wife. They tied the knot in a low-key ceremony attended by family, close friends and colleagues. The wedding comes almost a year after Job popped the dreaded question. The two held their traditional wedding early this year. Despite being colleagues at Mediamax, they never shy away from public display of affection and now that they have walked down the aisle and we wish them a blissful marriage. However, Mwaura was previously married to a lady by the name Diana Kimathi and they even have a daughter together. 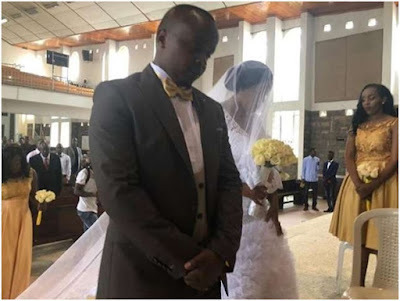 Former K24 Business reporter, Zawadi Mudibo shared a photo from the wedding with the caption.